Like everyone else in the country, I recently read The Help by Kathryn Stockett. The plot can be found anywhere on the internet, and if you’re really lazy you can just watch the movie, so I’ll spare you the details, but after reading it, I was left with thoughts of a very particular classic Southern food that comes up repeatedly in the book: the Caramel Cake. Find the heaviest saucepan you have that is at least 6 quarts. I like to use the bottom part of my pressure cooker. Stir together the sugar and cream in the cold pan, turn the heat to medium, and bring to a rolling boil ( see picture on the far left from the below photos; there will be lots of bubbles and a sort of lighter foam to go along with them). Do not stir once the boil has begun. Boil exactly one minute. Add baking soda and boil for exactly one more minute. Be careful: the mixture will foam up as in the picture on the right. Remove from the heat and add the butter, but Do Not stir the butter as it melts. Once the butter has completely melted, stir the mixture just enough to combine the melted butter, and let it cool to room temperature. Next, cover the pan and place it in the refrigerator. Let it sit overnight. A small note here: it will be ugly. It will look nothing like the final pictures. You will be worried. Trust me, it’s going to be okay. After the frosting has thoroughly chilled in the refrigerator, beat it using the whisk attachment (if you have one) on your blender. This can take anywhere from 10 to 20 minutes. If after this time your caramel still hasn’t whipped into a thick frosting, chill it for another hour and beat it again. Grease and flour three 9″ cake pans. If you’ve never done this before, it’s easy. Rub the inside of the pan with butter. Throw a handful of flour in the pan, and shake the pan around like you’re panning for gold, making sure to turn it on its side in order to get the edges and nooks and crannies of the pan. Beat the butter until it becomes fluffy. Gradually add the sugar, beating until completely combined. Add the eggs, one at a time, making sure each egg is thoroughly mixed in before adding the next. Mix in 2/3 cup of flour, followed by 1/4 cup of milk, repeating until all flour and milk have been added. Pour the batter into the three pans, and bake for 25 minutes (or until a toothpick inserted into the center of the pan comes out clean). 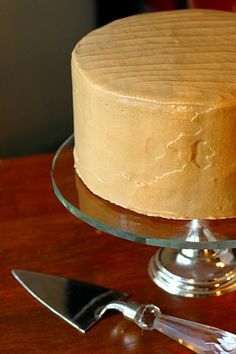 Once the cakes have cooled, place the first layer of your cake on a cake stand or plate, and line the edges of the stand with parchment paper. This will let you go crazy with frosting without ruining your clean stand. 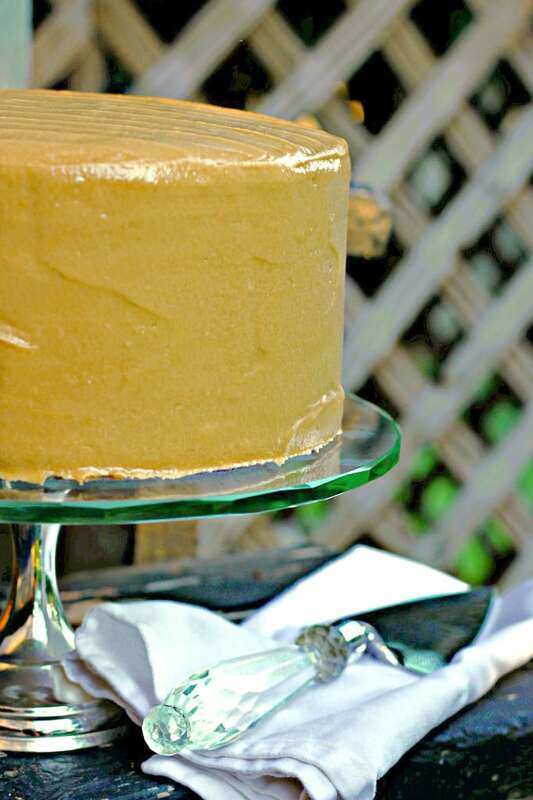 Spread a layer of frosting on each level of cake, finishing with a thin layer of frosting over the whole cake. Place the cake in the fridge until the first coat (aka crumb layer) of frosting sets, and then apply the final coat of frosting for a smooth finish. 0 Response to "two day caramel cake"